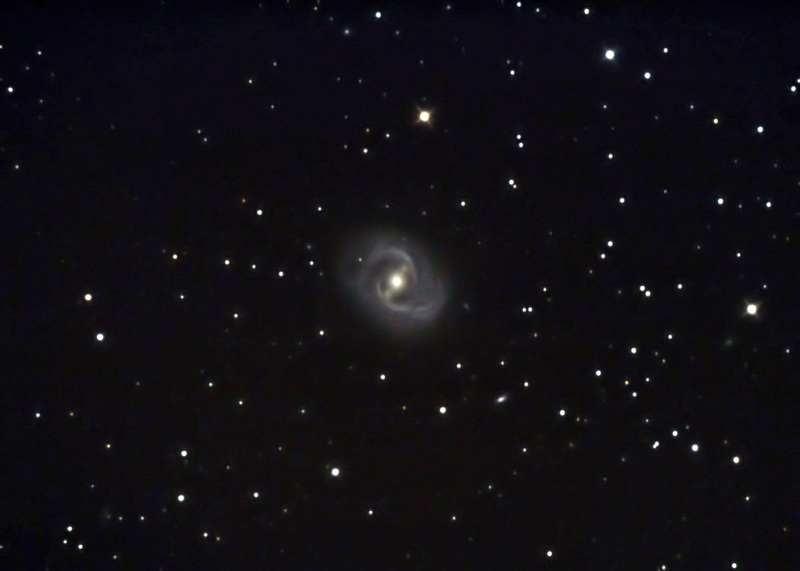 M91 is one of the faintest objects in the Messier catalog. This barred spiral is a member of the Virgo cluster of galaxies, located approximately 60 million light years away. Exposures: 21 @ 5 min. Note: Images were focused using the camera's Live View. They were reduced, aligned, and combined using ImagesPlus. The composite image was adjusted in Photoshop CS2 (Levels, Curves, Cropping). Shot from my backyard observatory in southeast Minnesota on 4/11/10. Outside temp: 35 F.